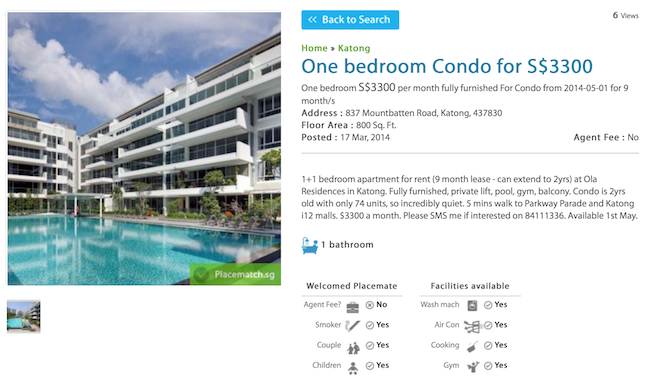 When we want to search for accommodation to rent in Singapore, the default website that comes to mind is PropertyGuru or Easy Roommate if you are searching for roommates. Users using property websites have long been complaining how painful some of the processes are, especially if you are using Easy Roommate. Due to that, several new property websites have been created recently by new companies, in hopes to provide a better browsing experience for users looking to rent apartments or if they are looking for potential housemates. 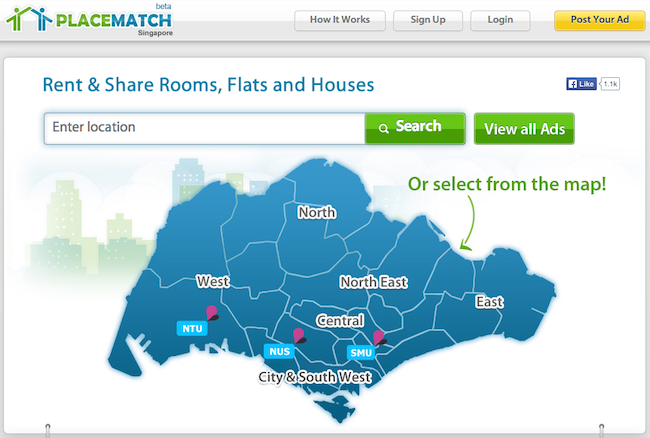 PlaceMatch is a new website that allows you to search for properties available for rental by regions in Singapore. Using PlaceMatch is relatively simple, just post an ad of your apartment, or you can search for listings and potential roommates by region. 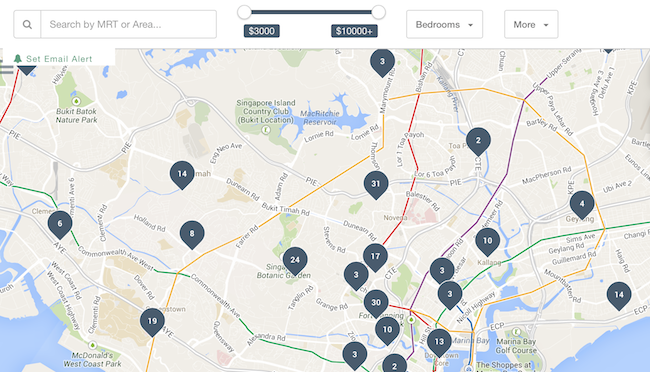 99.co is a new website that promises an easier and more visual way of searching for your new home. 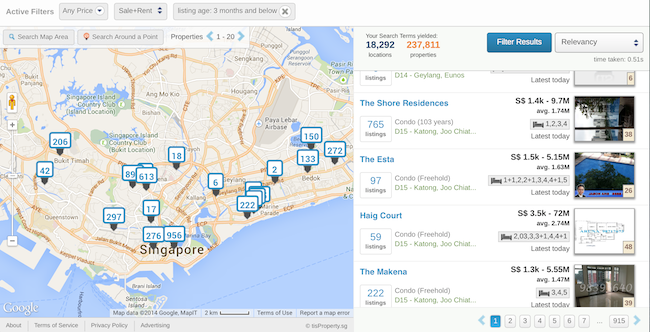 99.co utilises a simple map view to allow you to look at all the properties. Other than that, the 99.co team also has carefully curated photos which gives you a great view of how the actual property looks like. You can also search for properties according to your budgets and set email alerts for new property listings that might fit your selection criteria. Very handy. 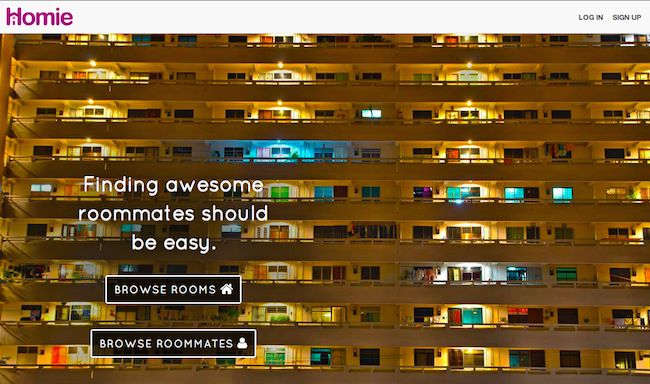 The sister site of 99.co, Homie.co wants to help provide you with an easy way to find housemates or roommates. You can browse your potential housemates by age, occupation, gender as well as by room rental budget. 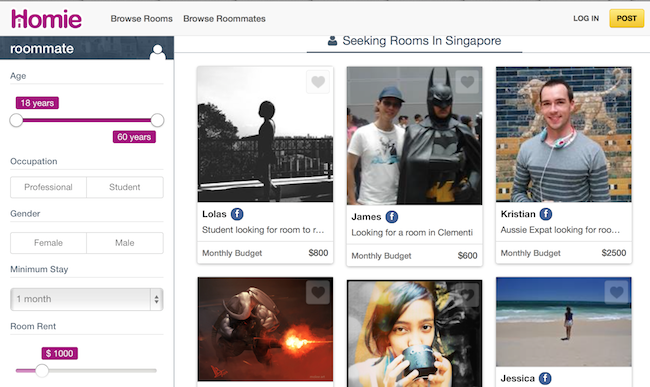 Other than browsing for roommates, you can also use Homie to browse for rooms available for rental in Singapore. There are currently over 1000 listings on the new website. 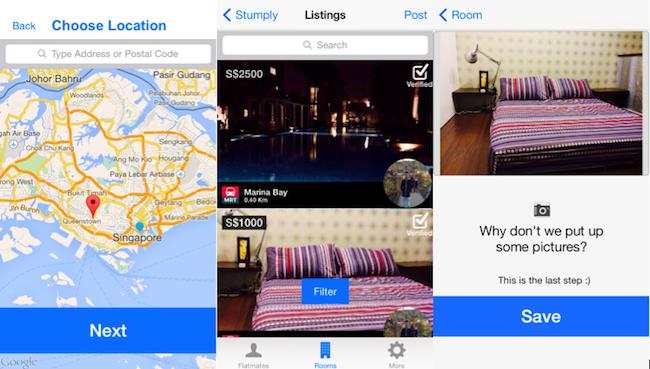 Stumply is a new mobile app that is set to be launched later of the year. 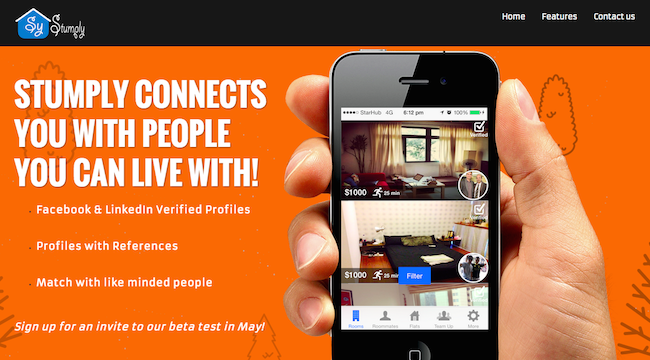 Unlike the rest of the new websites, Stumply takes a mobile first approach. The app allows you to simply snap your property listing and push it to their mobile app. To the team, they believe that most of us in the current mobile age chat and collaborate property searches through mobile. Exclusively for Vulcan Post, the team provided the screenshot of the upcoming mobile app, showing you how the final product might look like. There will be a tab for you to browse for roommates, as well as another tab to browse for rooms. Based in Singapore, TisProperty is started by a team of 3. On this platform, consumers have access to a wide array of property listings and are not hindered by various marketing antics rampant in the industry. You can search by postal code, type, budget and location using TisProperty. Similar to 99.co, the app also utilises a map view to give you a better visual experience. There are currently over 237,000 listings available on TisProperty. With these new websites which promise better experience to users using their service, users are definitely spoilt for choices. One thing’s for sure, there are definitely no lack of websites for you to look for apartments or potential housemates in Singapore now.